Christmas presents or Christmas gift based on my research is the transfer of something without the expectation of payment. Although gift-giving might involve an expectation of reciprocity, a gift is meant to be free. In many human societies, the act of mutually exchanging money, goods, etc. may contribute to social cohesion. Economists have elaborated the economics of gift-giving into the notion of a gift economy. By extension the term gift can refer to anything that makes the other happier or less sad, especially as a favor, including forgiveness and kindness. Anyway, the photo below is another Christmas presents from my friend. She came from Thailand country for her short vacation. 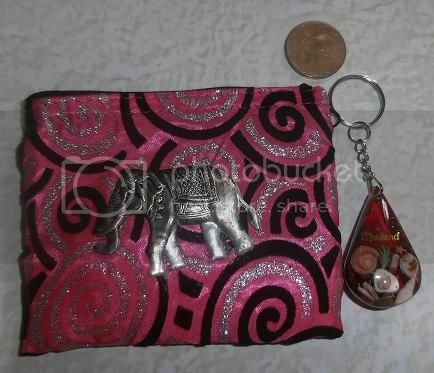 I would like to say thank you again for the coin purse and key chain as her early Christmas presents with 5 peso coins. I was really happy because he remembers me.